As they become virgins again! Celebrate with them- TWIN VIRGO Birthdays! ...How will they ever become virgins again? Through the rituals of dance and entertainment of course! Multi-talented Diva Extraordinaire- Ryan G Hinds. 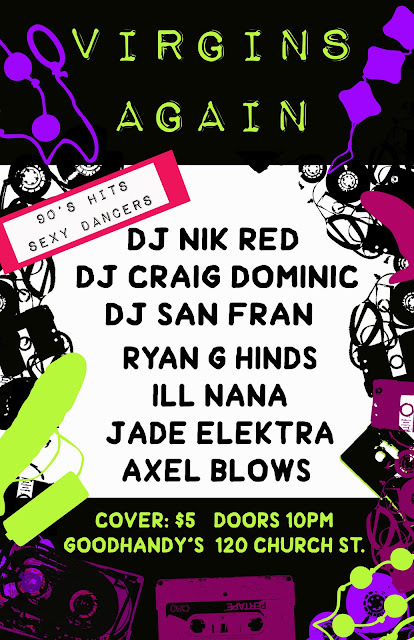 spinning all 90's House, R&B, Hip Hop & Pop favourites!! All Virgos tell us Your Birth date at the door and get a Prize!